Downeast & Acadia Maine Resorts– Another great reason to visit Maine. Downeast & Acadia Maine has a fabulous selection of resorts and Spas to accommodate every budget and lifestyle. Let us introduce you to the finest resort and spa lodging in Maine. Choose from oceanside resorts or spas, country resort or spa retreats, and elegant resorts or spas. Our Maine Resort and Spa section is organized by region. We hope you enjoy exploring our outstanding collection of Downeast & Acadia Maine Resorts and Spas. Please share your Maine resort questions or comments. Browse our suggested Maine Resorts below. To feature your Maine destination resort, contact us. 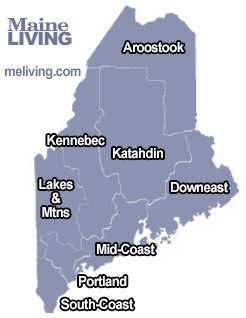 Maine Living offers direct links to online online Maine resort vacation specials. Find discounts, Trip Advisor reviews, lodging availability, ratings, and reservations for the Maine hotel, motel and resort lodging properties. We are a 44 room historical luxury inn, fully-renovated and located on Great Diamond Island. Our spacious rooms & suites are comfortably sumptuous. Three delicious meals, room service and full bar are available daily. Private beaches & wooded walks are nearby. Visit Great Diamond Island “a mile away, a world apart”.